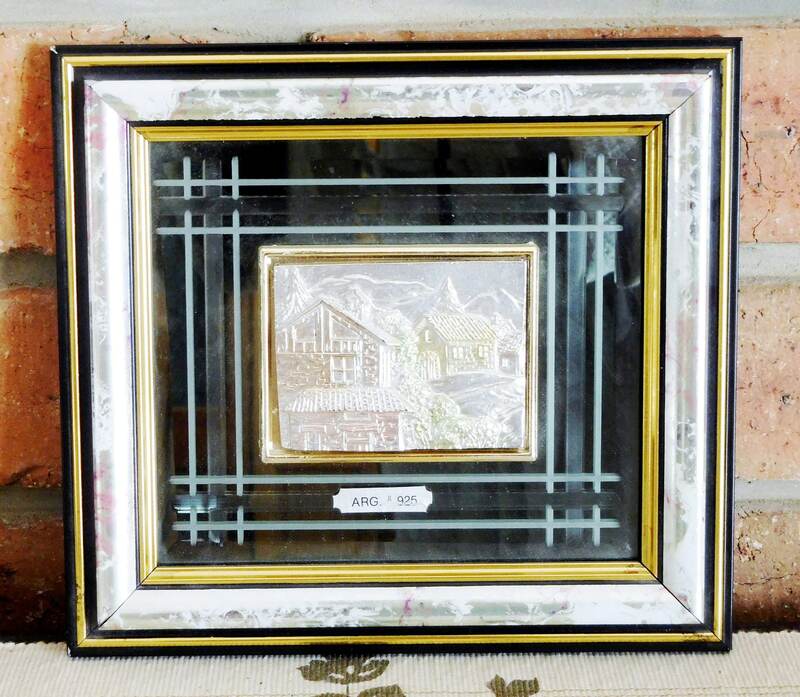 Vintage Creazioni Artistiche 3D sterling silver framed wall art, featuring an exquisite cottage scene with mountains, made in Italy during the 1980s. The frame measures just on 20cm x 18cm. This stunning and unusual piece is in perfect condition, though the label confirming the sterling silver status is a little damaged. What a brilliant gift idea!